For many fans of radio and storytelling, Garrison Keillor and his show "A Prairie Home Companion" have long been a part – if not the highlight – of Saturday night's entertainment lineup. But after 40 years of tales from the fictional town of Lake Wobegon, radio dramas and musical guests, Keillor is calling it quits. The show will continue with a new host. 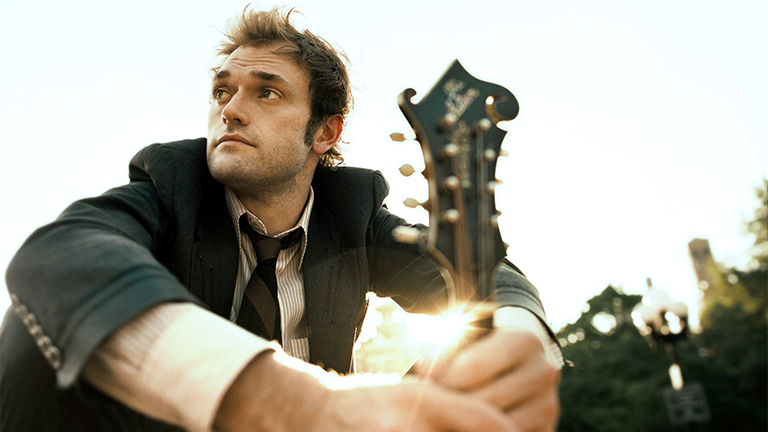 Chris Thile is not a writer and radio guy like Keillor, but a renowned musician. A child prodigy on the mandolin, his Grammy-winning, genre-crossing band Nickel Creek started when he was just 8 years old. These days he leads the genre-crossing band Punch Brothers, along with many other musical projects. And he's a recipient of a MacArthur Genuis Grant. On Saturday, Thile joins Keillor on stage at Ravinia during Keillor's final tour. Thile said he was “massively surprised” when Keillor cold-called him about a year and a half ago. Thile said he was too nervous to answer the phone at first. “He looms large, even on caller ID,” Thile said. Eventually, he called Keillor back and was asked if he wanted to host the show. Thile said a few things will change about the show. For example, he plans to write a new song and include a spoken word guest every week. “I am a musician, but the show will maintain its vast variety, and it’ll still be two hours. There’ll be music, there’ll be comedy,” Thile said. But Thile insists the spirit of the show won’t change, even as he brings in new kinds of music. “It’ll change a little bit – but overall that same emphasis on wonderful songs, wonderful storytelling, and hopefully some big belly laughs,” Thile said. Below, Thile performs "Here and Heaven." Our conversation continues with Chris Thile in this web-exclusive video. Feb. 29: Dionne Warwick stops by to reminisce about a WTTW "Soundstage" recording from 1980 – and what it's like to see an actress portray her on stage.